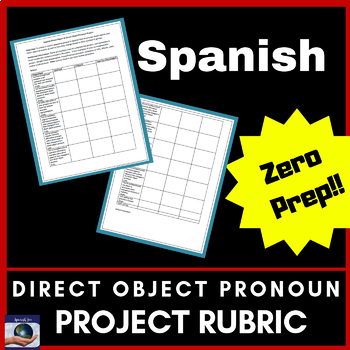 Are you teaching the Direct Objects & Direct Object Pronouns in Spanish & want to engage your students? This 100% editable zero prep project is PERFECT for you! 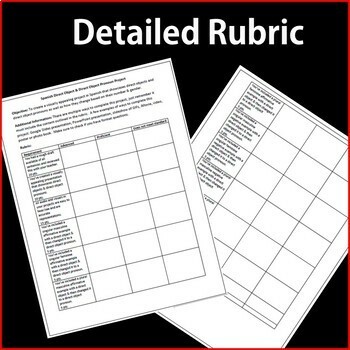 - A 100% editable Word document with a 125 point student rubric. - A PDF file with the 125 point rubric for the project. 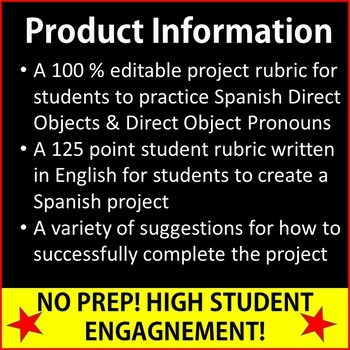 This project requires students to apply their knowledge of both direct objects & direct object pronouns to create a project. This project focuses on Lo/Los/La/Las in both affirmative & negative settings. You can partner students or have them work individually. Students create a poster or presentation showcasing their understanding. Several tech based & non tech project creation ideas are offered. Love Grammar Games? Check these out! Want to try a Breakout EDU? Here are several to choose from! Earn money on future purchases by leaving feedback! Click the green star next to my store logo to become a follower. You’ll see my products first and receive emails about my sales!